A state senate panel in California has just approved a measure -- SB 277 -- that is essentially another government-sponsored attack on the poor, and by some of the same people who so often claim that they want to help the poor. Proponents of the bill, passed by a committee that was stacked with supporters, claimed that revisions in this newly approved version address educational concerns voiced by some parents who say that it penalizes them regarding educational options. For instance, the measure essentially bans any unvaccinated children from attending taxpayer-funded public schools, even though the U.S. Supreme Court has repeatedly held that parents have a fundamental right to decide on the educational needs of their own children. Which brings us back to the California measure. As part of the "compromise" with vaccine choice advocates, SB 277 was revised to provide parents with the "choice" of choosing to keep their kids vaccine-free if they opted for an alternative form of primary education, as in homeschooling and private schools. The changes expand the home schooling and independent study options available to children who are not vaccinated and therefore cannot attend conventional public or private schools. Now, unvaccinated children could get an education through private home schools that cover multiple families -- in the bill's previous version only those serving a single family or household had qualified. The bill changes also clarified that unvaccinated kids could receive schooling through independent study programs that are overseen by school districts and given access to public school curricula. Homeschooling, private schools and "independent study options" may be just fine and dandy for parents of means -- but what about poor parents who cannot afford to pay an expensive bill or quit work and stay home to educate their children? "The amendments are an attempt to strike that balance," Sen. Ben Allen, D-Santa Monica, said after the hearing. "This is a committee that cares about educational options for families, and they felt that we hadn't adequately fleshed out certain aspects of the options we may provide for those families who choose not to vaccinate. We got through the committee today because the committee felt as though our amendments addressed the core concerns they had about access." Not all panel members bought into that. "I just still have a concern that this will not go far enough to help a two-income family who cannot home-school their child or a single working parent," said Sen. Connie Leyva, D-Chino. She's exactly correct; two-parent working families or one-parent households that are already struggling to make ends meet rely on the public schools that they already support through taxes to educate their children. Public schools may not always be the best choices, but when you're poor you don't have much choice. 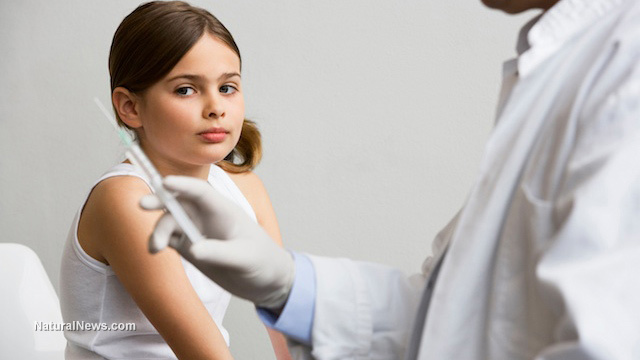 This law and similar pieces of legislation around the country that seek to prevent unvaccinated children from attending public schools are not simply an affront to parental choice. They tear at the very fabric of one of the country's most basic rights -- the education of children. "That bill should have died in committee" a week ago, said Sylvia Pimentel, State Director of the Canary Party and member of the California Coalition for Health Choice. "Instead of taking a vote and letting it die, the bill gets postponed for a week so the author can work on amendments. It's currently scheduled as a "vote only item" Wednesday. That means no one in opposition will get to testify on whatever amendments the author proposes. How is that good government?" The United States has long recognized that primary education is more than just a fundamental right, it is sound public policy; an educated populace makes for a more capable, competent and productive society and workforce. Giving poor parents the "choice" of either potentially harming their children or preventing them from being educated is no choice at all.